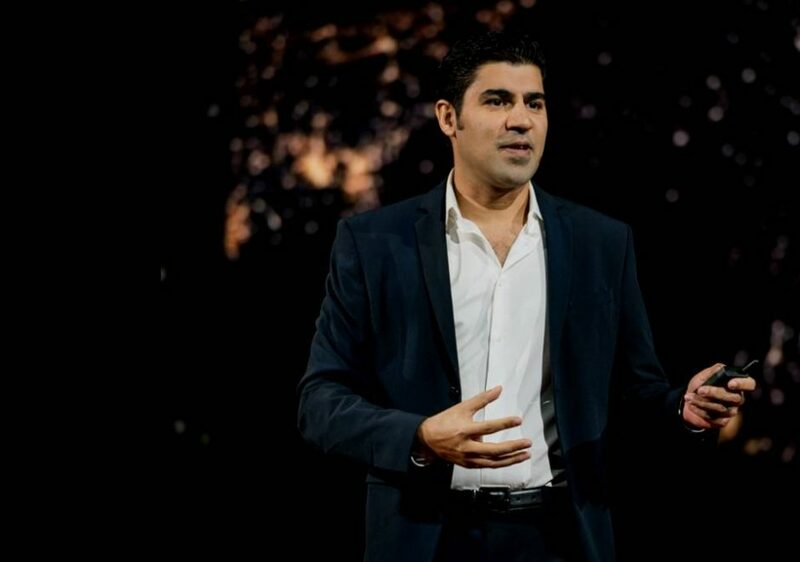 Parag Khanna fue nombrado una de las «75 personas más influyentes del siglo XXI» por la revista Esquire, y ha sido incluido en la lista de las personas más inteligentes elaborada por la revista WIRED. Es PhD por la London School of Economics, y Licenciado en Relaciones Internacionales y Máster en Seguridad por la Universidad de Georgetown. Parag Khanna es reconocido mundialmente como el gran gurú del análisis geoestratégico. Senior Research Fellow en el Centre on Asia and Globalisation de la Lee Kuan Yew School of Public Policy en la Universidad Nacional de Singapur. Además, es Managing Partner de Hybrid Reality, una consultora geoestratégica líder en el mundo y Co-Fundador & CEO de Factotum, agencia pionera en content branding. Parag ha sido asesor del Programa Global Trends 2030 del Consejo Nacional de Inteligencia de los Estados Unidos. En 2002-2005, fue Global Governance Fellow en la Brookings Institution; entre 2000 y 2002 trabajó para el Foro Económico Mundial en Ginebra y entre 1999-2000, fue Investigador Asociado del Council on Foreign Relations en Nueva York. Como intelectual continuamente citado en todo el mundo, Parag Khanna aporta su visión y escribe artículos frecuentemente en numerosos medios internacionales entre los que destacan: Wall Street Journal, Financial Times, Washington Post, Harvard Business Review, TIME, Foreign Affairs y Forbes. Su artículo de portada para el New York Times Magazine titulado “Waving Goodbye to Hegemony” es uno de los ensayos más influyentes desde el final de la Guerra Fría. En la actualidad es colaborador del canal internacional CNN Global. 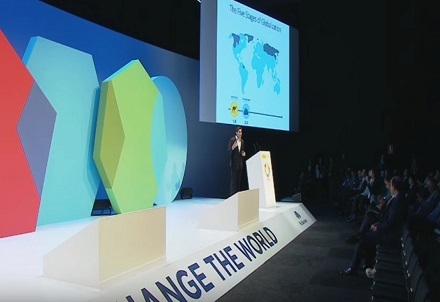 Parag Khanna ha impartido numerosas conferencias internacionales en los escenarios más importantes del mundo, asesorando a altos ejecutivos, líderes gubernamentales y grandes corporaciones sobre tendencias y escenarios globales, riesgos sistémicos e interrupciones tecnológicas, estrategias de entrada en mercados emergentes y planificaciones económicas. Miembro del Subcomité del Gobierno de Singapur sobre el Futuro de la Economía, también forma parte del Consejo Asesor del Graticule Asset Management Asia (GAMA), del East India Capital Management (EICM), y anteriormente fue miembro del Innovation Advisory Board del Banco DBS. 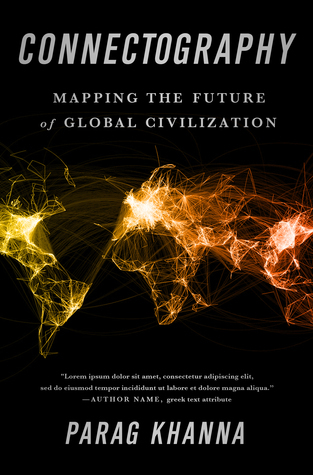 En su libro, «Connectography: Mapping the Future of Global Civilization» (Conectografía: Mapeando el Futuro de la Civilización Global), Parag redefine la forma en que la humanidad está organizada de acuerdo a las líneas de las infraestructuras y la conectividad, en lugar de nuestras anticuadas fronteras políticas. En la medida que nuestras ciudades crecen cada vez más conectadas a través de las redes de transporte, la energía y las comunicaciones, evolucionamos a partir de la geografía a la que Parag denomina “conectografía”. Gestionando riesgos en un mundo complejo. El futuro de la globalización: Tendencias estratégicas, Competitividad económica e Innovación tecnológica. Ganando la batalla global en favor del talento. Billones de personas, Trilliones de dólares: Cómo Asia modelará el mundo la próxima década. Mega-Tendencias: Tecnología, Ciudades y mapa del futuro. The election of Donald Trump as US president shocked the world, but actually represents the growing strength of a rising tide of unrest manifested in the Occupy Wall Street movement, Arab Spring, Brexit, and other turbulent events of the past decade. What comes next? Having served as a senior geopolitical advisor to US Special Operations Forces in Iraq and Afghanistan, Dr. Khanna draws on his deep on-the-ground knowledge of the world’s hotspots to lay out the scenarios — both action and reaction — for American foreign policy in the coming years. Sharing the insights from his world-renowned book on grand strategy, The Second World, Dr. Khanna also lays out a vision for America’s world role resting on the four pillars of security alliances, energy exports, financial capital and advanced technology. With infrastructure playing a major role in Trump's domestic strategy, Khanna leverages the deep analysis of infrastructure stimulus prescribed in his major recent book Connectography to explain the likely course of America's coming overall. With enormous rifts appearing in the global economic system, how can American firms continue to access opportunities in the high-growth markets of Asia — and how should foreign firms navigate the America’s increasingly complex political system? With his newest book Technocracy in America mapping out the direction for the country’s political evolution, Dr. Khanna’s presentation is an up-to-the-minute guide for deciphering the unfolding Trump administration. A new type of political and social system is evolving to cope with 21st century complexity: The info-state. The governments that will lead the future have moved beyond stale debates about big versus small government, open versus closed borders, and public versus private sector rule-setting. Countries such as Switzerland and Singapore, and even larger countries ranging from Germany to China, are pioneering new models of governance that blend democratic practice with technocratic management. 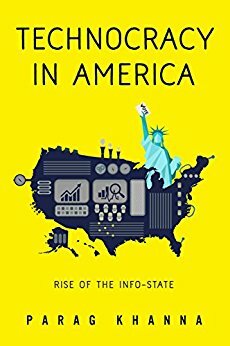 Drawing on his provocative new book Technocracy in America, Parag Khanna explains the best practices that all societies can learn from as they seek to enhance their security, prosperity and innovation. It is time to reimagine how life is organized on Earth. We’re accelerating into a future shaped less by countries than by connectivity. Mankind has a new maxim—connectivity is destiny—and the most connected powers and people will win. 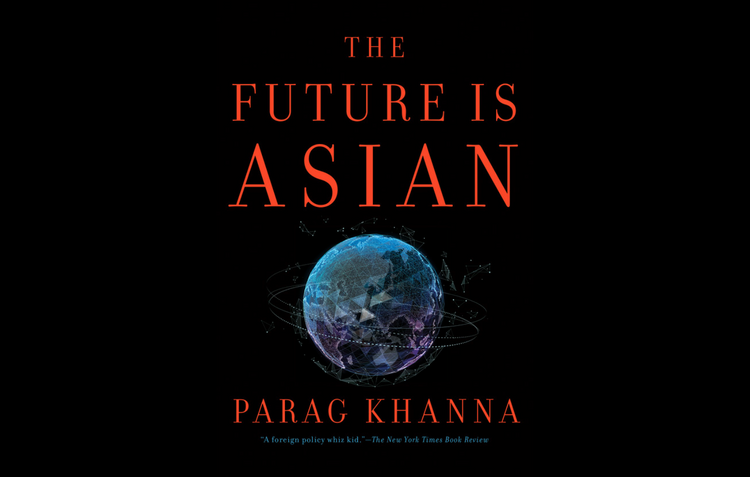 Connectography completes Parag Khanna’s trilogy on the future of world order. 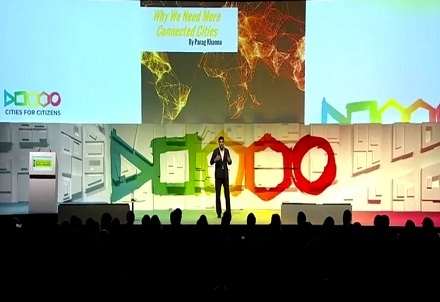 In this talk, he guides us through the emerging global network civilization in which mega-cities compete over connectivity more than borders. His journeys take us from Ukraine to Iran, Mongolia to North Korea, Panama City to Dubai, and the Arctic Circle to the South China Sea—all to show how 21st-century conflict is a tug-of-war over pipelines and Internet cables, advanced technologies and market access. The global financial crisis, Fukushima nuclear disaster, and Arab Spring are all recent "black swan" events that have rocked markets, transformed energy policy, and destabilized swaths of the planet. They came without warning but in retrospect were predictable. Today’s intensely complex and uncertain world is generating more such disruptions, potentially from the slowing Chinese economy, stalling financial and regulatory reforms, Russian geopolitical aggression, or social unrest caused by heightened income inequality. How can companies prepare for the worst and insulate themselves from the spillover effects of rippling crisis emerging from Eastern Europe, the Middle East and other hotspots, while capitalizing on stable and undervalued markets? Drawing on insights from his widely acclaimed book How to Run the World and his years of experience building scenarios and conducting strategic foresight workshops for Fortune 100 companies and innovative governments such as Dubai and Singapore, Dr. Khanna excels at the connecting the dots for corporate leaders, tailoring his presentations to diverse industries, regions and risk factors, and providing actionable roadmaps to achieve resilience. Globalization has withstood the financial crisis and continues to expand and integrate all markets and societies of the world. For the first time in human history, globalization is actually global, ushering in a new era of total connectivity and strategic competition. 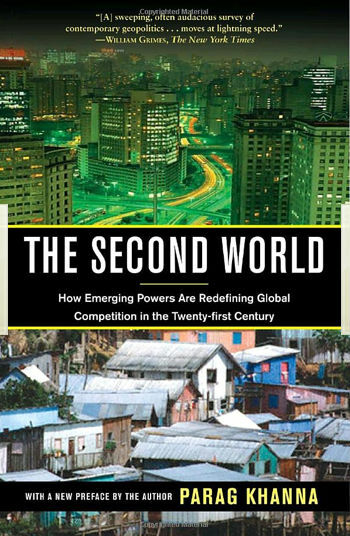 Drawing on his international bestseller The Second World: Empires and Influence in the New Global Order, Dr. Khanna provides a tour de force of the foundations of the future world order including: The new geopolitical marketplace emerging with the expanding ambitions of China, India, Brazil and Russia and the opening of new markets such as Myanmar and Iran; the competitive geo-economic environment in which western economies struggle to achieve consistent growth while emerging markets struggle with productivity and inequality; and the rise of “geo-technology” whereby leading sectors such as biotechnology, nano-technology, alternative energy and robotics will re-shape the global balance of innovation. A new class of global citizen is emerging led by over 250 million expatriates worldwide, more than ever in history. After decades of capitalizing on brain drain, fast-growing markets are reversing the flow of skilled managers in new directions, from North to South and West to East. Attracting the best and brightest to your country, city or company requires understanding the dynamics of global labor mobility and crafting an economic master plan to gain an edge in the war for talent. With his extensive experience advising the most innovative governments and globally distributed multinationals, Dr. Khanna provides insights and case studies that help you strategize your move up the value chain and train strong regional management. With over $20 trillion in annual GDP, Asia has rapidly become an economic zone on par with North America and the European Union—but encompassing more than half the world’s population and sovereign wealth as well. Asia now needs to be understood beyond China and Japan, especially as India and the Southeast Asian ASEAN nations increasingly flex their economic muscles. Outward Asian investment is on pace to reach $200 billion per year by 2020, and has already reshaped Middle Eastern energy markets, African infrastructure, North American real estate, and South American commodities. From his unique perch in Singapore and constant travel to the most dynamic investment destinations, Dr. Khanna explains where Asian capital is flowing and how it is transforming strategic relationships and building markets for savvy global investors. Ubiquitous technology and urbanization are the two irrefutable mega-trends of the 21st century. 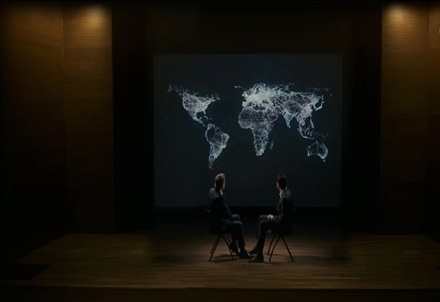 Together they are remapping the world towards a hyper-connected matrix of densely populated city clusters and ultra-modern special economic zones (SEZs) that represent the new foundations of a global network economy and society. 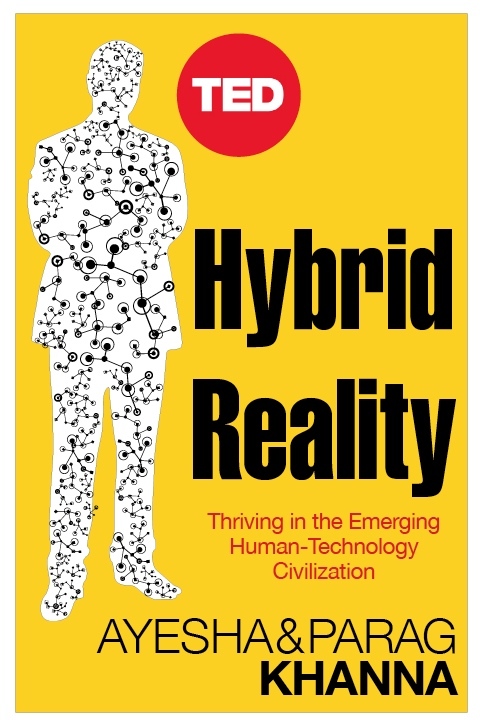 Elaborating on bold forecasts from his pioneering book Hybrid Reality: Thriving in the Emerging Human-Technology Civilization, Dr. Khanna provides unmatched clarity into the future and strategizes with clients to chart their own map to success. Globalization is entering a new phase in which emerging and frontier markets across all geographies are becoming fully integrated into the world economy. To succeed in this global marketplace, multinational companies must learn to become metanational: truly stateless. This requires thinking long-term about new growth centers, recruiting and training an international workforce comfortable across functions and locations, developing more locally tailored products and services, and restructuring management into partnership models that devolve authority. Leveraging his extensive experience advising some of the world’s foremost global companies, Dr. Khanna shares insights and strategies tailored to your sector and priorities on how to become a truly global company. What human civilization needs more than anything is not greater IQ or EQ, but TQ: technology quotient. In their manifesto Hybrid Reality, husband-and-wife team Ayesha & Parag Khanna explores the frontier of the information revolution: The Hybrid Age. 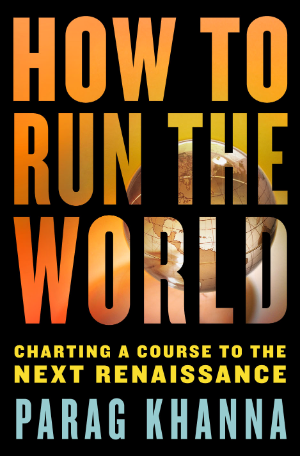 In this era of disruptive technologies, accelerating change, and deep anxiety about the future, the Khannas explain how the “balance of innovation” has superseded the military “balance of power” as a measure of national potential, and provide a global tour of how the smartest countries, cities, and companies are harnessing new technologies to gain an edge. Each of us also needs better TQ to adapt to a future in which robots are normal social actors in our lives, healthcare becomes a vehicle for physical enhancement, academic pedigree dissolves in a global skills market, and virtual currencies enable tax-free transactions. Whether the future is a dystopian global class struggle over technology or a Pax Technologica of transparency, access and equity will depend on spreading TQ above all else. “Hybrid Reality is an enormously important contribution our thinking about how to create a better tomorrow. It studiously ties technology to our deepest political and economic patterns and gives a lucid portrayal of the technologies re-shaping our lives today. The Khanna’s case for a Pax Technologica is a mission we should all share.” - Peter H. Diamandis, Chairman/CEO, X PRIZE and Chairman, Singularity University.